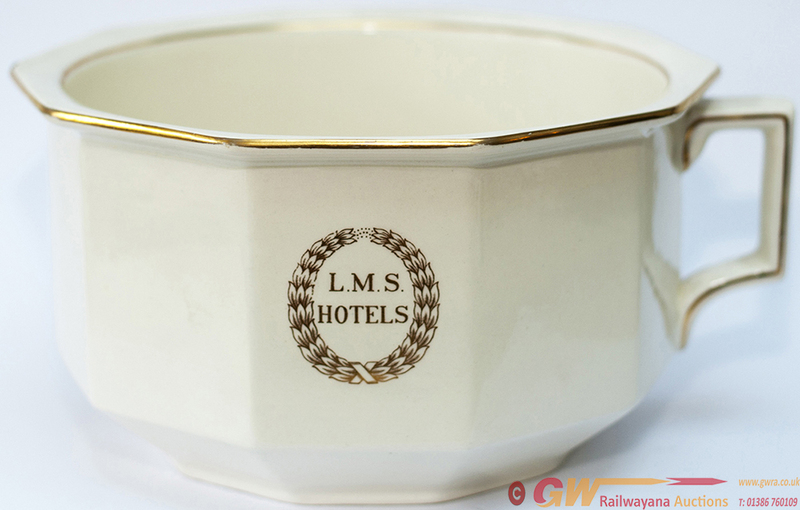 LMS china chamber pot with LMS HOTELS surrounded by the laurel leaf in gilt to the front and base marked CAULDON ENGLAND LM&S HOTELS. Ten sided design measuring 9in across and 5in tall. In very good condition with one small chip to a corner.